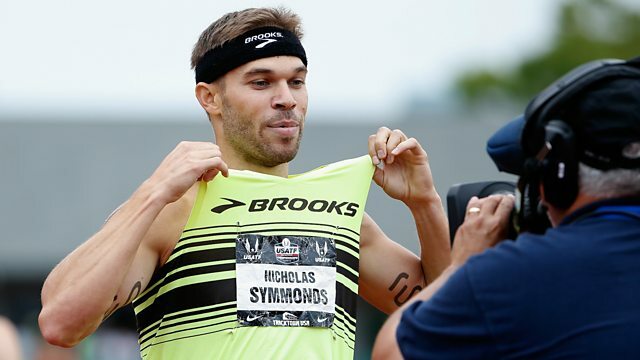 Athlete Nick Symmonds is in a running battle with his own governing body. The two-time Olympic 800m runner is co-founder of a caffeinated chewing gum company which is suing USA Track and Field and the US Olympic Committee. He claims both organisations are unfairly restricting sponsorship opportunities at the trials for this year's Rio Olympics. The rules governing the trials only allow logos of apparel and equipment manufacturers approved by the committee to be displayed. Symmonds, 32, feels this does not create a competitive market place and also violates US anti-trust laws. "if they are saying they only want one logo on a singlet, we are ok with that. You just have to open it up to all corporations, you can’t just give a trust to a small sector of the market" said the 2013 world 800m silver medallist.